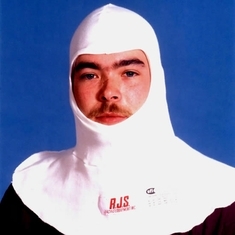 Racing fire resistant Nomex socks and fire resistant underwear, balaclava hoods and head socks. All of our Crow Racing balaclava hoods and underwear are approved and fireproof SFI 3.3 rated, so they are perfect for racing as well as military uses. (We ship worldwide and to all AP, APO addresses etc. These racing hoods now come in black as well as white. Easily order online below! Soft 1 or 2-Layer SFI 3.3 fire-proof rating. 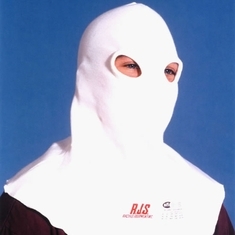 Balaclava race hood for use under racing helmets. 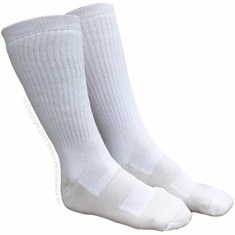 Head socks can also be worn under face mask for added fire protection of head and neck. Bib both front and back for extra protection under uniform or Nomex racing suits. Choose White, Black, Single-Layer or Double Layer hood. Made with one or two layers of fire resistant material. 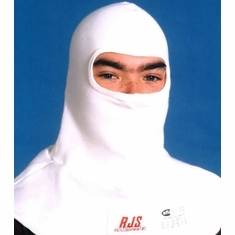 Features bib front and back for added protection under your Nomex uniform or driving suit. Completely closed head sock, with individual openings for each eye. Premium quality, maximum safety. SFI 3.3 fire resistant. Available White, Black, Single-Layer or Double Layer balaclava hood. 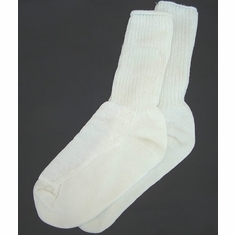 Features soft 1 or 2 layer FR construction head sock. To be worn under face mask for added protection of head and neck. Bib for extra protection, front and back slips under your Nomex race suit or uniform. Fire proof rating SFI 3.3. 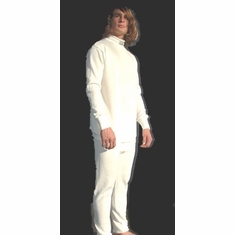 Convenient two-piece style (includes both top and bottom), knit fireproof underwear is flame resistant SFI 3.3 safety rated. Top has long sleeves. 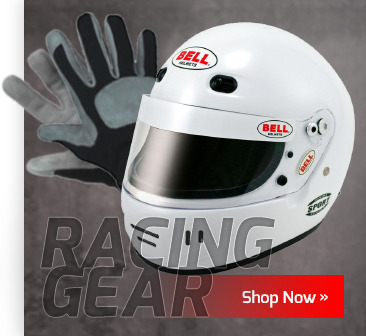 Highly recommended to be worn for added fire protection while racing. Choose from White or Black! Kids sizes 5 - 8/10 is $5 OFF (price adjustment made in shopping cart). SFI 3.3 Fire resistant. Made in USA FR Racing Boot Socks.